Where is the grant application located? 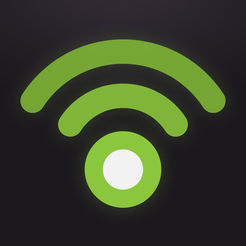 The link to the application cannot be found on TGKVF’s website. A TGKVF program officer will send you a link to the correct application if the project fits within TGKVF’s grantmaking focus. How much should I request for a grant? There is a wide range of awarded grant dollar amounts. Applicants should request the amount that is actually needed to successfully complete the proposed project. It is a good idea to research TGKVF’s previously awarded grants so that you know the typical grant amounts that have been funded. Is there a limit to how much I can request? Applicants may request up to 25% of the lead organization’s annual operating budget (or collaborative organizations’ combined operating budgets). Please remember that an applicant cannot ask for 100% of the proposed project. Applicant organizations must have some type of match, whether in-kind or cash, to help fund projects.  How do I know if I qualify for a grant from The Greater Kanawha Valley Foundation? 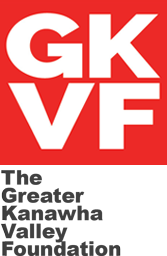 First, review the Guide for Applicants to see if your project meets TGKVF’s criteria. If you feel like your project is a good match then you should email or call a program officer to discuss your project. Can I apply for more than one grant per year? Yes, your organization may be involved in more than one project per year, but we recommend that you only be the lead applicant once annually. What if my organization is not a tax-exempt nonprofit? You may still be part of the collaborative project, but the Lead Applicant must be a 501(c)(3) or government entity. What is the deadline for grants? Funding decisions are made quarterly and you may view the quarterly timeline by clicking Timeline. Make sure that you contact a program officer at least 2-3 months before an application’s first draft due date to discuss your proposal idea. Applications must be submitted by 4pm on the days that they are due. Are quotes or bids ever needed? Three quotes or bids are required for any single item that is more than $1,000 in your budget. For example, if you need to purchase 200 books at the cost of $1,200, you would NOT need a bid because each book costs less than $1,000. If you need to purchase one piece of equipment that costs $1,200, you would need to submit at least three bids or quotes that demonstrate you’ve researched the vendor you’ve selected. Typically, any kind of construction cost (e.g. you are building a greenhouse) will require bids. Click on the “Forgot my Password” link on the application login page. The Foundation does not have access to your password or user name. My application timed out. What do I do? The system will timeout after a few minutes of inactivity and your work will be lost if you have not saved your application. Please save your application often! We recommend that you prepare your answers in a Microsoft Word document and cut and paste your answers into the appropriate text boxes in the online application. Should I include reference letters or brochures about my project when I apply for a grant? No, please only attach the documents that are requested in your grant application. I’m having trouble viewing the online application; what should I do? Who needs to fill out the Collaborative Partner form? The partners who are requesting TGKVF funds are required to fill out the Collaborative Partner form. Partners requesting funding must also submit their financial information as outlined in the Collaborative Partner form. I’m having trouble attaching my scanned items; what should I do? Your items might be too big. We recommend that you scan your items at a low resolution such as 200 dpi. What format should I use to scan my items? Items may be scanned as PDF, Word or Excel; all other formats are not visible to staff or reviewers. How should I submit my draft application for review? To submit a copy of your draft proposal, please use the link “Email draft” in the upper right corner of the online application’s first page. By clicking this link, you may email a copy of your draft to the appropriate program officer. Please be sure all attachments are uploaded into the application. Continue to click “save and finish later” until you have received feedback from your program officer regarding your draft. At that point, you will have the opportunity to update your application based on his/her advice. Once you have completed your proposal and incorporated any feedback from your program officer, you may then submit the final draft.